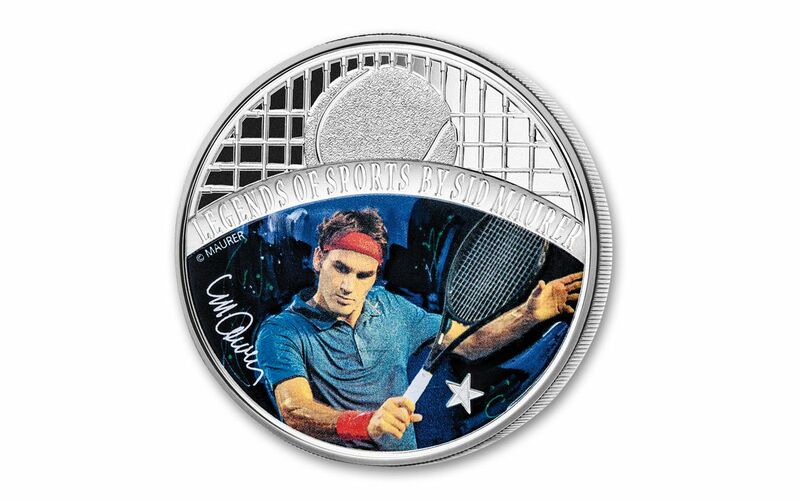 Sid Maurer's Vision of Roger Federer! Few athletes have dominated their sport quite like Roger Federer. Unquestionably considered one of the best tennis players of all time, Federer has ruled the male tennis world for nearly two decades. His unbelievable versatility with courts of all types and locales have earned him an incredible19 Grand Slam titles and 93 ATP titles to date -- a degree of supernatural athleticism that has spurred countless new tennis fans to pick up their own rackets in inspiration. 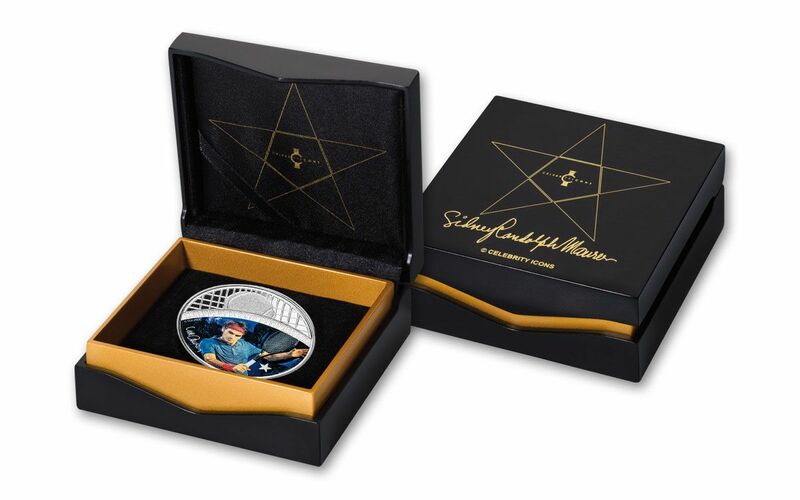 Now, this dynamic tennis icon has been immortalized as one of artist Sid Maurer's "Legends of Sports." 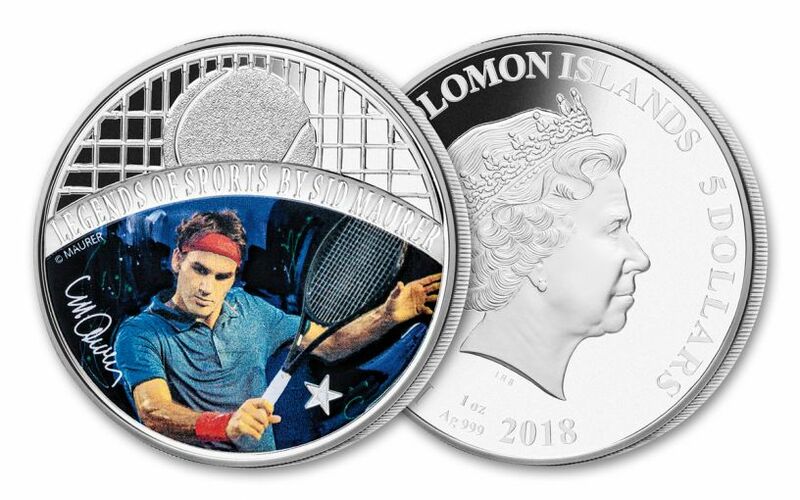 Part of the Sid Maurer Celebrity Icons© series, these stunning one-ounce, 99.9% fine silver proofs use the latest in colorization technology to mint each coin with an image of Roger Federer in action, as seen through Maurer's unique pop art style. 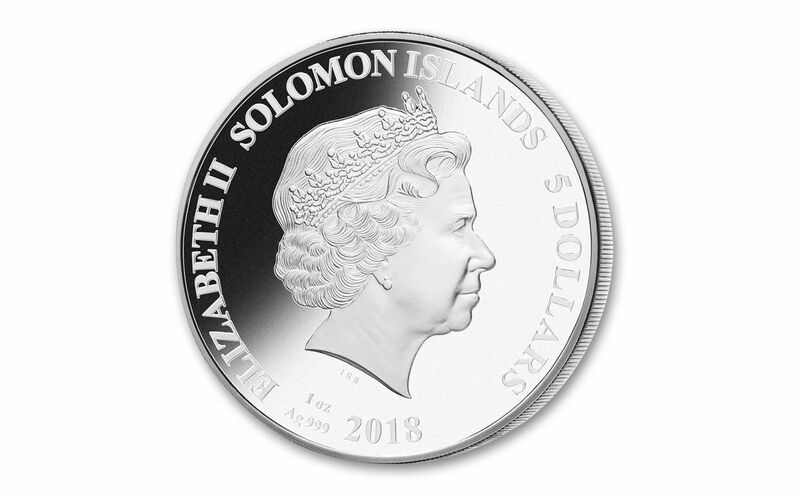 Only 10,000 of these proof-struck, $5 Solomon Islands legal tender coins have been authorized, so don't wait to score yours -- get on the court and order yours now!